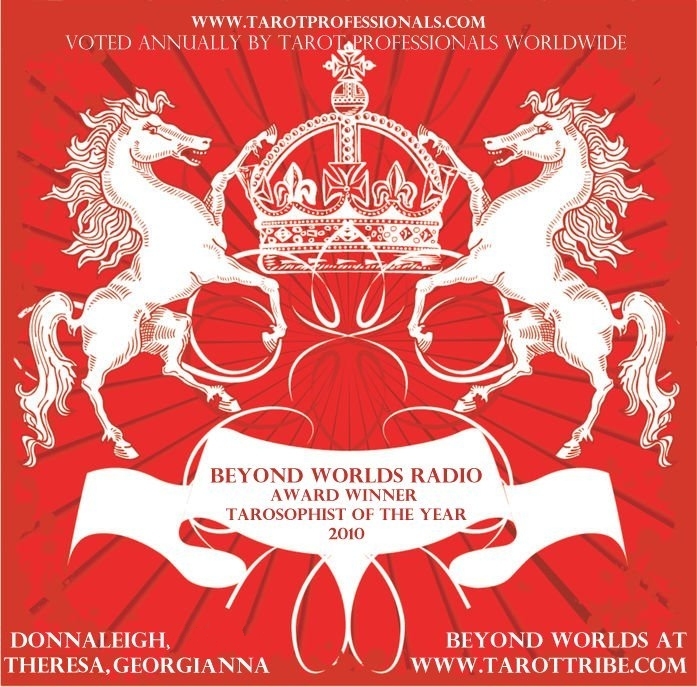 Our radio show Beyond Worlds has been voted Tarosophist of the Year!!! The award was given for outstanding contribution to Tarot in 2010. All the fabulous cohosts – Donnaleigh de LaRose, Theresa Reed and myself are incredibly excited about this honour. We thank everyone at Tarot Professionals for your support. And of course to everyone that listens to the show …. you’re the reason we do it. Thank you so much!